How True are Japan's Latest Gaming Rumors? The gaming industry is constantly full of rumors. More so in April where you have the gullible falling for all the crazy April Fools pranks that pop up. This week, Japanese gaming mag Weekly Famitsu went through the trouble of gathering up a bunch of rumors and seeking the validity of them a la Mythbusters – but with more asking around and less explosions. The rumors were listed up, each with a percentage of how reliable it was. Some of them were interesting, some were no-brainers, and some were just plain random. 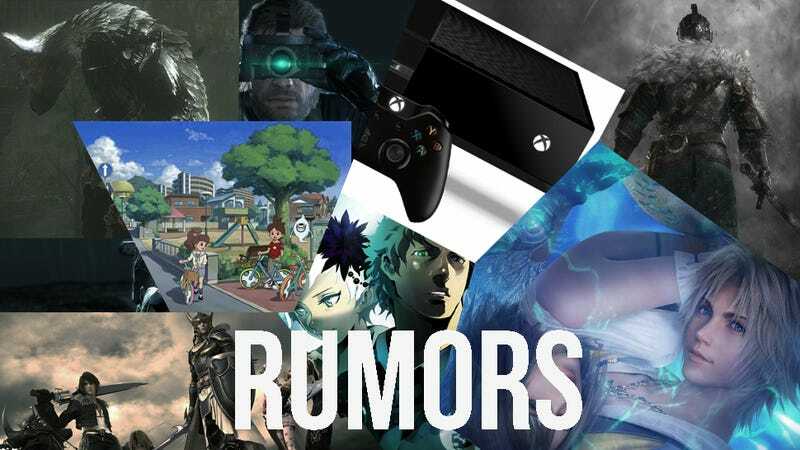 Check out some of the rumors that were covered. Rumor: Square Enix is preparing to make Final Fantasy X-3. Details: With the HD release of Final Fantasy X and X-2, rumors began flying around that Square Enix was going to use this as a launch bed for developing a new sequel to the series. When asked, producer Yoshinori Kitase flatly stated that X-3 was currently not in production. However, he did note that there was no telling what would happen and that he would love to share that unique, light atmosphere with scenario writer Kazushige Nojima once again. Validity: 30% — So, no actual movement on a third Final Fantasy X game, but never say never. Rumor: Zero Escape: Virtue's Last Reward director Kotaro Uchikoshi is going to break his silence and announce a new game developed with the company MAGES. Details: Asked directly, Uchikoshi stated, "Yes, it's true. I'm working with MAGES. on my latest project. They're currently working on the game system. The scenario is already complete and, personally, I'm very proud of it!" Validity: 100% — Please let it be the sequel of Virtue's Last Reward. Rumor: Apparently developer From Software is working on a new game with Sony. Details: After the success of Demon's Souls, Dark Souls, and the latest hit, Dark Souls II, rumors have been spreading that developer From Software is working on another game with SCE. An SCE spokesperson would only say, "No comment." Validity: 10% — As if they'd say anything concrete right after releasing Dark Souls II. Rumor: A special non-TV function Xbox One is coming out. Details: One of the biggest hurdles for making a universal console is the location-specific standards. With Microsoft's next-gen console officially hitting Japan's shores in September, some believed that a games-only version of the Xbox One would be released. A Microsoft spokesperson would only say "We are currently working to release the Xbox One in an ideal way for our Japanese customers. We will have more details towards the end of April." Validity: 30% — This one's kind of in the air, but I wonder how many people would be interested if Microsoft was to announce one. Rumor: One of the visual effects of Metal Gear Solid V: Ground Zeroes was inspired by a Japanese pop group. Details: One of the interesting visual effects seen in MGS:GZ is the horizontal flashing lens flare. A similar sort of effect can be seen in music videos for the Japanese pop group AKB 48. When asked, a Konami spokesperson said, "The use of dramatic lens flares is an effect often used by one of director Hideo Kojima's favorite directors, Douglas Trumbull. The horizontal lens flares in the opening [of Ground Zeroes] was inspired by the unique flares used in music videos from AKB 48." Validity: 100% — I'm... not exactly sure what to say. Rumor: Developers are moving on a new Dissidia Final Fantasy game. Details: Producer Ichiro Hazama said in an interview last Fall that he would love to, and intends to, make a sequel to Square Enix's Final Fantasy all-star fighting game. Asked for an update, director Mitsunori Takahashi said, "Mr. Hazama has said 'the team members who worked on the previous game constantly tell me they want to work on [a sequel],' well, I'm one of those people along with the fans who wants a new game. Dissidia was a major turning point in my creative career and I treasure it very much, please let me make [a sequel]!" Validity: 60% — So, while a new Dissidia game isn't officially in the works, there is definitely a lot of push from the development side. Rumor: The hit game Yokai Watch is getting a sequel already. Details: Released in July, 2013, Yokai Watch has been a smash hit over the past year, topping sales and getting both an anime series and manga. Asked about a sequel, Level-5 CEO Akihiro Hino said, "Yes, a sequel to Yokai Watch is in the works." and "We will be able make an announcement sometime in April." Validity: 100% — Congratulations, Brian. Rumor: Is The Last Guardian ever going to be released? Details: Not so much a rumor than a question that's been on everybody's mind since 2009. SCEJ would only say, "The game is in development and we are waiting for an opportunity to make a further announcement."